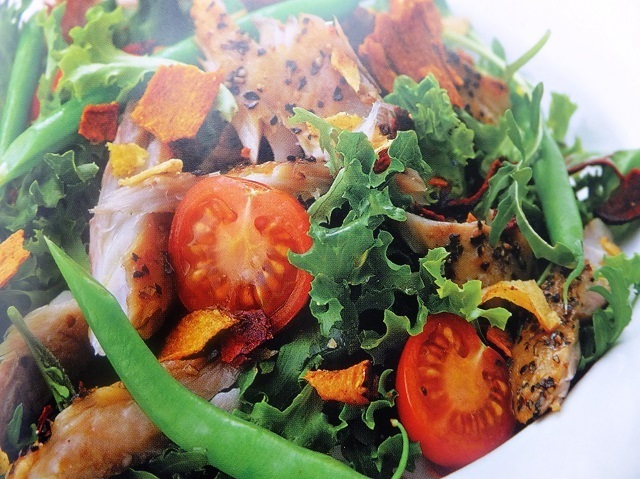 How to make peppered mackerel with vegetable crisps salads? 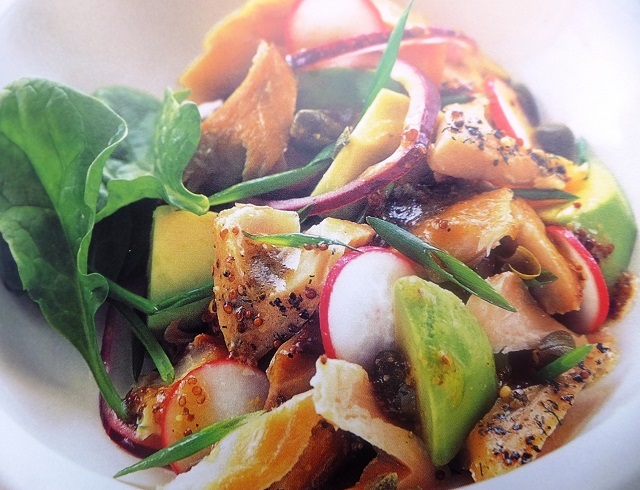 Peppered mackerel with vegetable crisps salad recipes and ingredient shared on our page. 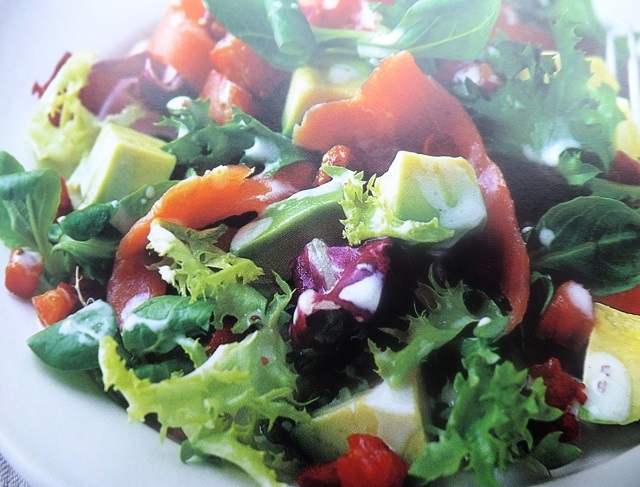 Make a simple dressing by whisking the extra virgin olive oil with the lemon juice, season and set aside. Cook the beans in boiling salted water for 2-3 minutes, until just tender, then refresh under cold water, drain and cut in half. Tip the salad leaves into a large bowl and add the beans. Pell off the skin from 2-3 smoked peppered mackerel fillets and tear the flesh into bite sized pieces. Add to the salad with cherry tomatoes. Add the dressing and toss well. divide between large plates and scatter with a handful of crushed vegetable crisps to serve. Your enjoy meal!